"The Q" and heading 80 miles south to Yuma. This year in Q I've been forced to spend most of my time indoors. that we have been here including the weekend. but understandable "where have you been?" comments. in the vocabulary. Heck... most don't even wear watches. working in such beautiful and varied locations. As in the past we have had aerial photos taken of the circle. The one below was taken from an unmanned drone with a GoPro camera. 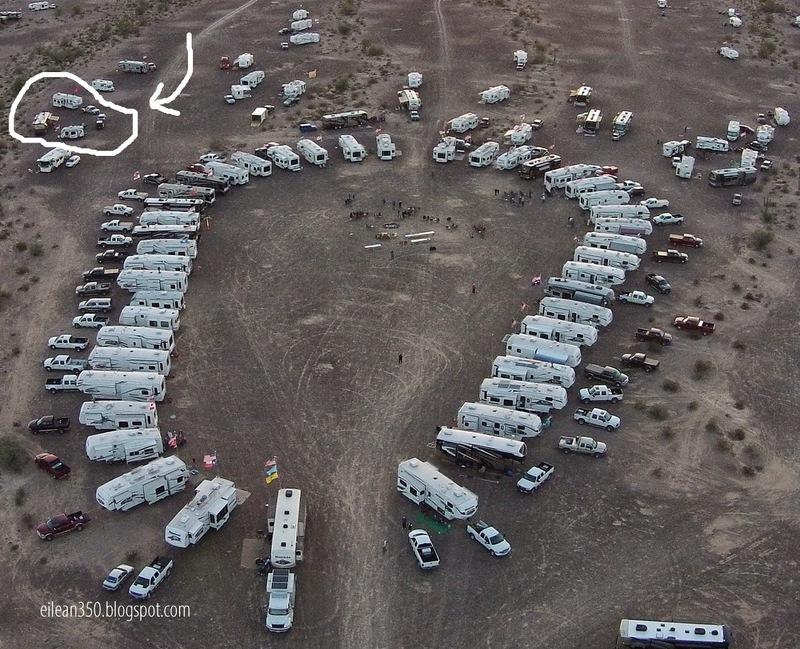 We are the 3 rigs circled in the upper left. Ron strikes a pose at the grill. He's a Salmon Grilling Fool! As the sky turns orange, I took this photo of the circled wagons. Our private little encampment outside of the big circle. always strike these poses when taking photographs. It has now taken on a life of its own. One of the great things about the west is the dry weather. temps would drop into the 40's. Great sleeping weather for sure. Each night we would have a warm campfire. Desert sunsets are the best. Tonight we launched "luminaries" - these miniature hot air balloons. the gentle breezes until they run out of flame. Quartzsite is a fun place. Its sort of an old age playground without the swing sets. The great thing in this playground is the quality of the toys. Spending the kids inheritance is the order of the day. Harleys, Jeeps dirt bikes... you name it. One of our fellow Montana owners took me for a spin in his Off Road Vehicle. There are dozens of those ORV's out here running all over the wide open spaces. I've been thinking of getting one so i jumped at the opportunity to take a spin. We went for an 8 mile ride in the desert, on some pretty rough terrain. I was impressed just how smoothly it handles bumps. Yep... add another toy onto my wish list. south to the Orange Grove RV Park in Bakersfield. Grove and every site has Orange Trees. sweet, fresh, & juicy California Navel Oranges. Remember you can click on the pictures to enlarge them. Lake Havasu at Lake Havasu State Park. We hooked up with friends here and in total we had 4 rigs in attendance. Today - Tuesday - we drove 70 miles south to Quartzsite. It is here where we will now spend a week or so in the Desert. There are about 70+ rigs from our Montana Group here. in the Party bus as well as their friends Fred & Tracy. We have our own little circle of 3 outside of the big circle. where we have been during that time period. Its been a busy time indeed. the Alps - we were treated to one more special dinner. 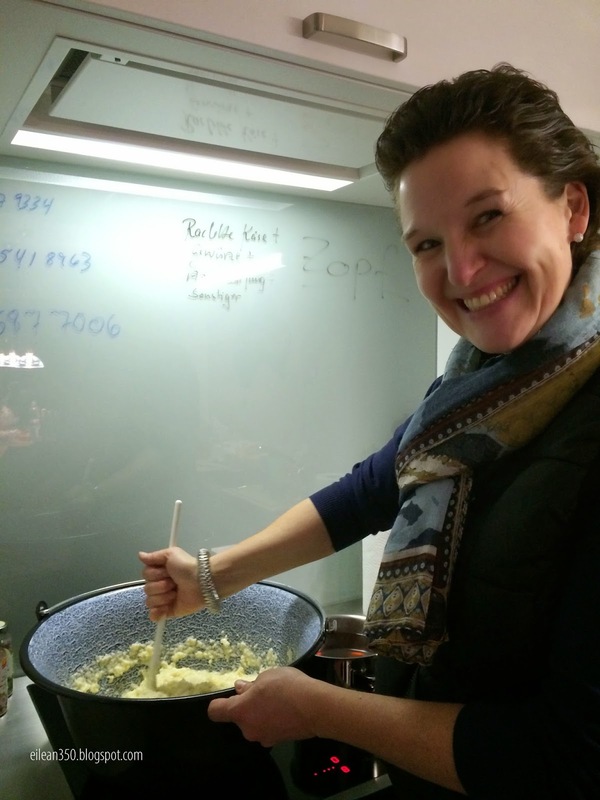 Marcel & Michaela treated us to a special Swiss Dinner called Raclette. various ingredients in your plate. We had boiled potatoes, numerous veggies, chicken and shrimp. and very social event. Make a little, eat a little and make a little more. We capped off the event with Marcels Toblerone Mousse. A white chocolate and milk chocolate mouse. The man is a master with chocolate and cream. 360 degree turn inside the mountain. we made one detour to revisit the town of Murren. perched on the side of the steep valley about 1,500' up from the valley floor. The views from Murren are incredible. Like Wengen, Murren is also a car free town. You can reach it only by Tram. Paragliders were taking advantage of the clear calm air. in and we never go to see the incredible vistas. Below is almost the same view as above. Note the view once the clouds parted. The second tram headed down is quite breathtaking. than 1,000' above the valley floor. on Swiss Air flight 38 headed to San Francisco. We were wined and dined and given the royal treatment. it is perpetual nighttime, so we had a sunset, nighttime, and sunrise on this flight. This was taken high in the sky over Norway leaving the sun far to the south. In summer the same flight would be all daytime. Our course took us right over Banff National Park in Canada. You might remember Banff from our travels to Alaska last Spring & Summer. Approaching SFO we flew right over the Golden Gate Bridge. We arrived back at Ron & Maxines to a raucous welcome from the Doodles. By the time we hit the sack it was a 25hr day. We had a wonderful time. I hope that you enjoyed visiting with us. We like to acknowledge and thank some special friends. Ron & Maxine for taking such good care of the Doodles and making the trip possible. Without them, we would never have been able to take the trip. Marcel & Michaela for their incredible generosity and hospitality. They really made our time in Europe extra special. that they took care of us while we stated with them in Switzerland..
they welcomed us and made us feel at home. Michaelas mom spent a lot of time preparing special deserts and German meals. Tomorrow - we hook up the Montana and head off for the Arizona Desert. Ron & Maxine will be coming along with the Party Bus. Our eventual destination will once again be the big Montana RV circle in Quartzsite. First stop will be the Orange Grove in Bakersfield for some fresh fruit picking. Then Lake Havasu where the 4 of us will hook up with Jim & Kristi. Somewhere along the line I'd like to take a nap. 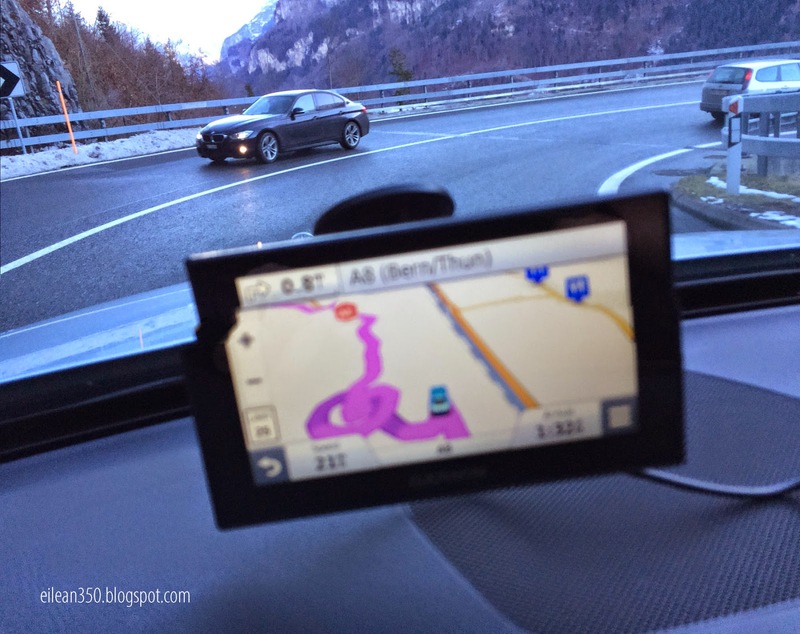 Yesterday we drove about 2 hrs south and east into the Swiss Alps. It will be our last hotel of this trip but certainly not the least. One of the reasons I selected this hotel was the reputation of the resturant. I opted for the "half board" which means a 4-course dinner is included. Our room is the top floor - right side with the two awnings extended. and took a cog railway train up the mountain. Singapore. I learned that in Singapore - English is the main (and first) language. I visited here almost 50 years ago with my father. The views from on top are amazing. Down in the valley in the center of the picture is Interlaken Switzerland. The Aletsch Glacier - the longest in Europe at about 14 miles. It is over 3,300' thick. On Junfrau is the Ice Palace. It is carved into the Glacier and contains numerous ice sculptures. into either Lauterbrunnen or Grindlewald. We took the train towards Lauterbrunnen getting back off at Wengen. far side of the steep valley. Kate and I stayed in Murren 6 years ago. It was cloudy during our stay last time and we never got to see the mountains. This time the weather was perfect. and take the tram up for lunch and see the view under better conditions than last. My watch battery happened to start to go bad on me last night. Interlaken so we headed down there this afternoon to drop it off. It should be ready tomorrow afternoon. almost 2 months to get it back and meanwhile I am lost without it. Marcel & Michaelas house for our final night in Europe. Ron & Maxine, The Doodles, The RV, and The Arizona Desert. in the Bierhaus in Munich? Well here are her teachers. They had been there since 1030am and it was around 7pm. 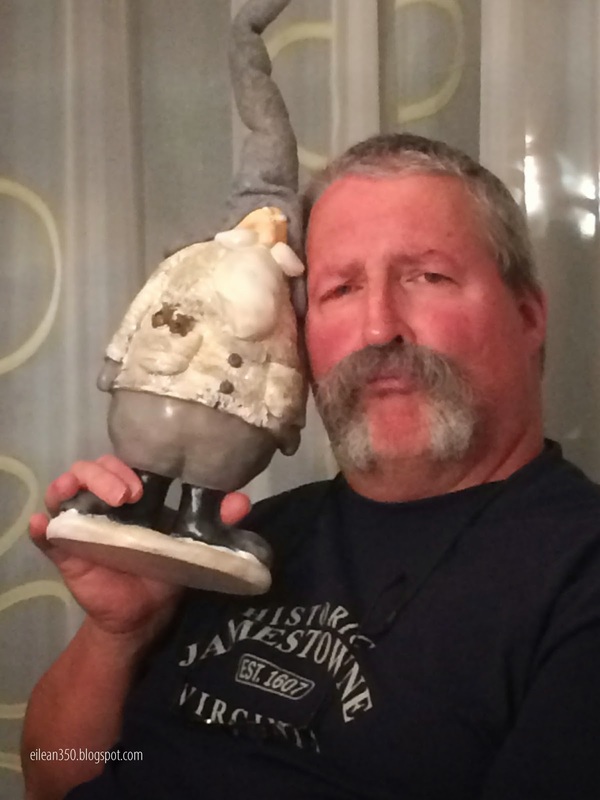 This is me and "Christmas Greggi"
Frankly I don't see the resemblance - do you? enjoyed in the small Swiss Bar in Zurich. It came in 50cl jars and is poured into small glasses. It is quite thick, creamy, and foamy when first served. Think of a cool moonlit winters night. Add in a nice warm campfire. Now throw in some wine... some good crusty bread... and some cheese. 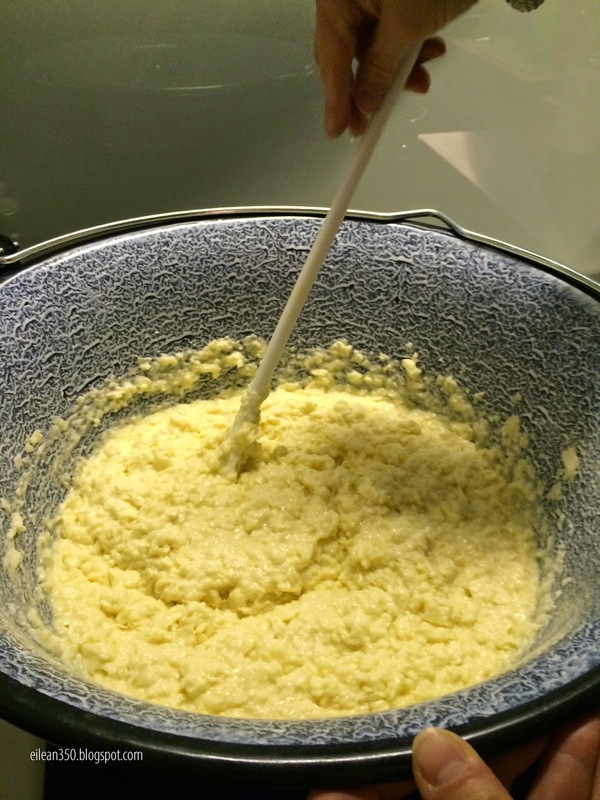 Throw it all together in a big pot and you have Swiss New Years. a nice wood fire outside in the snow. and then the girls prepared it indoors. to just the correct consistency. This is their friend Bridgette stirring the mixture. Bridgette works in a local Bakery and brought the bread. 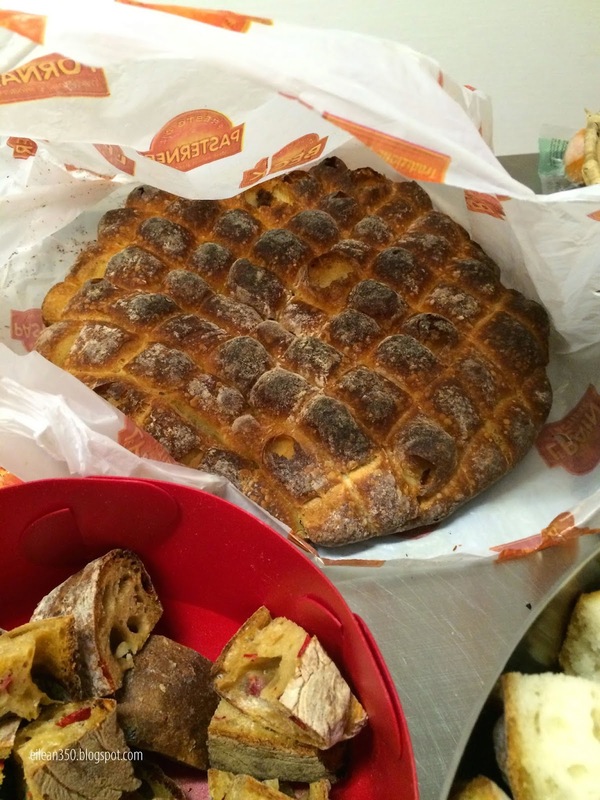 It is a special bread made just for fondue. It is sliced some before baking. Then baked until it has a nice hard crust. The bread is then broken apart and put in a bowl. 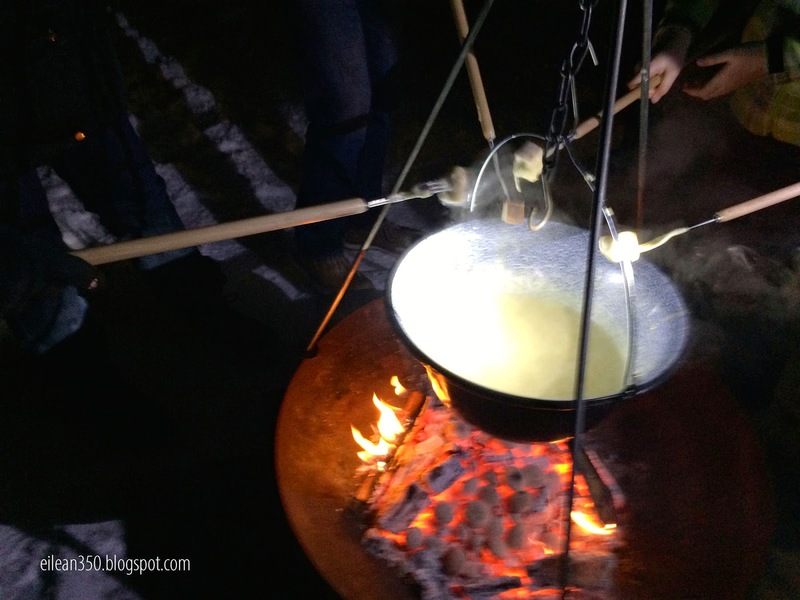 Meanwhile the fondue is almost ready for the fire. A tri-pod was erected over the fire. A chain with a hook is suspended from the top of the tripod. The pot is suspended from the hook. The pot was hung from the Tri-pod and it was time! Long forks make the job simple. Wine, bread, and cheese on a stick! usually see on the 4th of July. It was a New Years Eve to be remembered forever for sure. and wish you all the best for 2015.